Technology may not be a panacea to solve the climate crisis, but green applications (eco-apps) are helping to drive awareness and foster responsible action. There was a time when eco-apps did little more than provide lists of so-called “green” products and services. Now green-themed apps have turned mobile devices into portals for environmental education and sustainable action. The smartphone market share is now estimated to be more than 40 percent in the U.S. Around the world, smartphones are proliferating and green apps are growing along with them. Eco-apps can help people be more efficient and reduce their energy consumption. There are a wide variety of energy apps including those that monitor efficiency and consumption. Apps help with things like recycling and other aspects of green living. Mobile and tablet based smart energy applications help consumers to optimize their energy and water consumption, monitor their appliances, water heater and other electronics. These apps can also monitor and operate HVAC, grey water (from rain), automated windows (shutters and blinds) and lighting systems. They can even provide information about renewable energy conversion and variable price grid management. Here is a list of some of the best eco-apps compiled from a variety of sources including the Department of Energy, Environmental Protection Agency, Living Green Magazine, Clean Techies, Good & Green Guides, ecofriend, Solar Energy and the Globe and Mail. Most of the Apps listed below are free or cost less than one dollar. At the end of May 2012, the Department of Energy announced the winners of its Apps for Energy competition. Apps for Energy challenged developers to build applications that help consumers get the most out of their energy usage data. These apps were created using Green Button, which is an open standard for sharing electricity data of utility customers. The goal was to help consumers to understand and reduce their energy use. The Apps for Energy competition had a few key goals. The first was to encourage open innovation around Green Button. 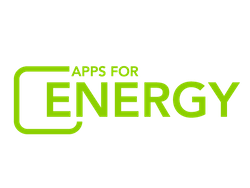 With Apps for Energy, they challenged developers to leverage the enormous potential of Green Button data by building web and mobile applications that help homeowners and business understand their energy usage and take action, so they can save money by saving energy. As the number of utilities around the country offering Green Button data increases, the importance of these applications will continue to grow. Equally important is the effort to create a thriving, energy-focused developer community that is committed to using technology to address real-world challenges, like reducing energy waste. Developers submitted more than 50 web and mobile-based applications for the competition. This wide range of apps ran the gamut from a program that helps commercial builders reduce energy waste, to a fun, social game that lets you compare your energy-usage to that of your friends. First Prize went to LEAFULLY for an app that helps utility customers visualize their Green Button data as a variety of units, such as the amount of trees needed to offset an individual’s energy usage. This app is the brainchild of Seattle-based team, Timothy Edgar and Nathan Jhaver. This app calculates a user’s energy use and then displays the impact in terms of an equivalent number of trees. Users have four main views: overview, trends, calculator and ways to save. The Leafully app compiles historical data for energy use (electricity, natural gas and miles driven) and provides hourly breakdowns. Leafully even addresses sleeping energy, efficient appliances and peak time use. The app also lets a user see the energy they are using from their utility and the impact if they were to use only renewable energy. Users sign into the app with their Facebook account, which encourages energy reduction competition amongst friends. Second prize went to MELON for an app that evaluates the energy performance of commercial buildings to help building owners to obtain the Energy Star benchmark. DC-based startup Melon describes itself as the first company to utilize Green Button data to simplify the process of obtaining an ENERGY STAR benchmark for commercial buildings. The app uses Green Button to evaluate the energy performance of commercial buildings. Third prize went to VELObill, which is similar to Leafully except it focuses on the cost of energy as opposed to the environmental impact. VELObill was created by Zerofootprint and it provides consumers with an easy to understand comprehensive picture of their energy use including how much they spend on gas, water and electricity, whether their bill has gone up or down, and how they compare to peers. In addition, VELObill shows consumers how to save money, who can provide them with help, and offers tools to manage their plan of action. The first student prize went to WOTZ for an app that was submitted by a team of students at the University of California, Irvine. This app lets users explore and play with Green Button data. The app provides several games based on the “shape” of your data, and provides creative comparisons to illustrate your usage. The second student prize went to BUDGET IT YOURSELF for an app that is a collaborative project from a team of students at Case Western Reserve University and the Cleveland Institute of Art. The app helps users track their energy usage and make energy-savings goals. Some other popular apps using Green Button include Innovative Solar Demand Response, Grid Fortune and iEnergy. To see the full range of diverse, innovative and engaging energy apps developed for the competition click here. In the fall of 2011, the Environmental Protection Agency (EPA) announced the winners of their Apps for the Environment competition. The winner of the EPA’s “Best Overall App” was Light Bulb Finder by Adam Borut and Andrea Nylund of Eco Hatchery. Light Bulb Finder helps users switch from standard incandescent to energy-efficient light bulbs. With simple inputs about bulb and fixture types, the app recommends energy-saving bulbs with the right light quality, fit and style. Light Bulb Finder calculates financial payback and environmental impact. Energy-saving bulbs can be purchased via the app or at local stores. The EPA’s runner up for Best Overall App was Hootroot by Matthew Kling of Brighter Planet. The Best Student App was EarthFriend by Will Fry and Ali Hasan of Fry Development Company and Differential Apps. The Best Student App runner up was Environmental Justice Participatory Mapping by Robert Sabie, Jr. of Western Washington University. The Popular Choice Award went to CG Search by Rajasekaran Bala of Cognizant Technology Solutions. Other eco-apps include Green Genie, which is a complete guide to the sustainable lifestyle. Developed in collaboration with a LEED Accredited Professional and a professional sustainability consultant, this app offers more than just green tips, it is a massive collection of green projects and resources. Green Genie shows users how to reduce their impact and save money doing it. Whirleo is the first game developed in conjunction with global eco-charity 1% for the Planet, it lets players control colorful, spinning tops on planet Rotopolis. As they travel, each Whirleo cleans up pollutants released by the begrimed Guzzler. Players swipe and tilt their touch-based smartphones and tablets to make tops whirl across land, sky and water. They locate hidden power-ups, discover magical crystals, solve puzzles and unlock new characters while learning about environmental issues. Yoink is an app that reduces waste by providing a fast and easy way to find or give things away that may otherwise by thrown in the garbage. It employs an interactive map for local sourcing. There is no cost for this app and all that is required is a private message through the app to organize the pickup. iamgreen’s Battery Saver is an app that allows users to adjust their battery settings to cut out unnecessary energy draining settings such as bright screens and unneeded Wi-Fi. It also includes an energy quiz, offers tips on saving energy and plants a tree with each purchase. A wide range of apps are available that help people to reduce energy usage in the home. Such apps can remotely turn off appliances that use energy when they are not in use but remain plugged in. Research has shown that homeowners who are able to check how much electricity they are using in real time save an average of more than 10 percent almost immediately by turning off unnecessary lights and appliances. The UFO Power Center is a power saving device that helps users to manage the energy use of home appliances, eliminate stand-by power, and save electricity. It provides real–time feedback which enables users to follow the energy consumption of each individual electrical device. It can automatically turn off appliances when not in use. Meter Readings is an app for recording readings from electricity, gas and water meters. Based on manually entered data, it displays graphs and tables of weekly and monthly costs and year-to-year comparisons, predicts your next bill and helps check bill accuracy. The app can handle multiple meters. Control4 is a home energy app that allows users to control everything from security, lighting, and temperature to music and video for homes with the Control4 system. SunPowerSolar Management System app is an innovative Solar Electric Home Energy Management System that lets you monitor energy produced from SunPower-branded solar systems in real time. SunPower® Monitoring provides on-the-go access to the information to help save on energy expenses. Homes with the SunPowersolar system connected to SunPower Monitoring can monitor the energy produced by this solar system in real-time, wherever you are. The Wiser Home Control app allows anyone who owns a Wiser Home Control energy management system to control everything from lighting, security, climate and even camera monitoring can be controlled from their smartphone. Kill-O-Watts is an app lets users calculate energy use and predict bills. Users must input power consumption data for individual devices (this information is usually supplied with new appliances, computers, etc.) or pick typical devices from a database that comes with the app. Then specify how many hours a day each is used and utility rates. Kill-O-Watts can then tell you every device’s monthly usage and cost. Ecobee sells smart thermostats that have an app that allows users to adjust the thermostat remotely. Watts Plus is an app that calculates approximately how much an appliance costs to run. iGo Vampire Power Calculator helps you calculate how much electricity you may be wasting in each room of your home. My Water Diary is an app that helps you track your weekly water consumption by tracking what you use for drinking, cooking, washing and more, so you can reduce your use and save money. There is also an entire range of apps designed to encourage more efficient driving. Eco-apps even make it easier to make informed decisions about the purchase or lease of the most energy efficient vehicles. E-Cars Pocket Guide allows users can compare different cars on important elements such as electric driving range and battery capacity. These apps can even tell you how much it costs to drive an electric vehicle compared to a car with an internal combustion engine. An app called greenMeter can be used the same way you would use a GPS. The app’s sensors record your speed and changes in acceleration tell you if you are driving efficiently. Following this app reduces speeding, rapid acceleration and braking, which can reduce gas mileage by one-third. The GasHog app can facilitate your car’s overall fuel efficiency by offering a plethora of calculative features that can add up to your car’s overall fuel efficiency. The features include calculations (all in international standards) of the odometer reading, amount of fuel added, and total cost to generate the fuel economy of the tank. It also displays important tips on reducing the fuel consumption of the vehicle. Carticipate app is for ride sharing. All users need to do is input the data of their destination. This saves energy and makes driving more efficient. Good & Green Guides are sustainable travel guides that show inhabitants and tourists how to enjoy a city while taking care of the environment. The new sustainable travel guide has over 4200 rated sustainable points of interests. This first of its kind app responds to growing consumer demand for finding credible sustainable options. The criteria for what is included in a Good & Green Guide are strict, objective and transparent. 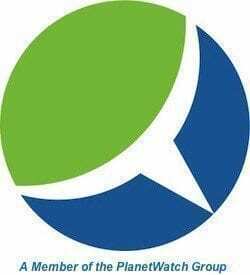 Each point of interest is thoroughly researched and reviewed by local volunteers and students, then rated using the Good & Green Star System for three categories of sustainability – Good, Green and/or Great. The guides offer points of interest including fair trade shops, organic markets, yoga studios, aid organizations, vegetarian restaurants, eco-fashion shops, natural cosmetic shops, green hotels, and more. 23 different categories are organized into five easy to navigate chapters. The What’s Fresh app integrates a dashboard, which shows locally available fruits and vegetables. You can search for seasonal natural delicacies and expand your search by radius distance. Moreover, the app also displays a calendar with yearly availability of fruits and vegetables with their growth relation to specified locations and their cultivation attributes. The Locavore app is designed for both the gourmets and the gourmands.Locavore gives you a list of seasonal produce in a chronological week by week fashion. It also shows you locally available food commodities in farmer’s markets and restaurants, along with the foods-related government and NGO data (for each state). The informative scope is enhanced by Wikipedia articles and a myriad of recipes. The GoodGuide app allows users to select the best of eco-friendly products.This app allows you to select the best of eco-friendly products with a detailed built-in rating system. GoodGuide is the world’s largest source of information about the health, social and environmental impacts of products and companies. A team of chemists, toxicologists, nutritionists, sociologists, and environmental lifecycle analysis experts rated over 150,000 consumer products. Barcode scanning reveals how a product scores on a scale of 0-10, and suggests better alternatives. 3rdWhale app is for green shoppers. It contains over 20,000 green businesses across 30 major cities in United States and Canada. Businesses included are vetted according to stringent selection criteria involving third party certifications and accreditations. The National Parks Conservation Association app provides a complete view of park wildlife, as well as a comprehensive ecosystem review of 50 national parks. NASA’s chemical sniffing app has the ability to detect dangerous gaseous components. Developed by NASA, this app has a chemical sensor that can be connected to an iPhone to identify and reveal very small traces of chemicals like methane, ammonia, and chlorine gas. This is only a tiny fraction of the plethora of eco-apps that are helping to turn handheld devices into mobile green machines. Some of these eco-apps have been around for years while others are new. The next generation of eco-apps will be even more effective at putting the power of technology to work for the environment. Great to have discovered this article, I must check out some of these apps as they all sound like they are playing their part in reducing energy consumption and awareness of the planet. The world is eating more seafood than ever, and we’re pushing the ocean and its fish to the limit. According to the United Nations, approximately two-thirds of ocean species are over fished, and some types of commercial fishing catch up to seven times more unwanted fish than targeted species. To help reduce over fishing limit fish consumption and choose species that are abundant and fished or farmed with minimal harm to the surrounding environment. The Seafood Watch app (http://www.montereybayaquarium.org/cr/SeafoodWatch/web/sfw_iPhone.aspx) helps you to identify sustainable seafood. Wow, this is nice post, thanks a lot for your valuable sharing information! I will try one of such the stunning apps, just because I see that they play an important role in increasing awareness of the planet while reducing the energy consumption! Thanks for the comment. We have an update to our original eco-apps post scheduled for later this week! Can anybody recommend a good eco app developer?